No time for a field-trip to the Holocaust Centre? This in-classroom workshop saves you the time and costs to make a trip to the Centre. The workshop is designed to cover one teaching unit. Questions by the workshop facilitator foster critical thinking and ideas about social responsibility, two core competencies of the new BC curriculum. Most of what you will want to know about workshops is asked and answered below. What is a classroom workshop? Rather than teachers and students visiting the Holocaust Museum, a docent comes to your classroom to facilitate a workshop about the Holocaust. The classroom workshop consists of a short film, Pigeon, that focuses on decision making and rescue during the Holocaust followed by an interactive presentation by a VHEC docent. Students learn about the systematic persecution of Jews in France and acts of rescue during the Holocaust. The interactive workshop stimulates thoughts among students about the choices we all make and about motivations for making them. No time for a field-trip to the Holocaust Centre? This workshop saves you the time and costs to make a trip to the Centre. The workshop is designed to cover one teaching unit. Questions by the workshop facilitator foster critical thinking and ideas about social responsibility, two core competencies of the new BC curriculum. We also invite you to read responses sent to us from students. Sessions run 60 minutes for Secondary School classes and 45 minutes for Elementary School classes, or as per agreement with the Centre. Classroom workshops are offered in both the mornings and in the afternoons according to arrangements made between the teacher and the Centre. Who are the workshops suitable for? Recommended class size is 30 students. The fee is $85 per workshop per class of 30 students. If there are more than 30 students, we recommend booking two workshops. Partial or full subsidies available by request. Due to the high volume of requests for workshops, we recommend that you book at least two weeks in advance. Complete this form to book an in-classroom workshop. 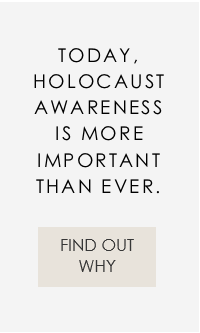 In addition to using the Teaching Resources page of our website, will you have the opportunity to do additional teaching about the Holocaust with this group (course work, books, films, etc.)? Please detail. Please indicate your preference for a workshop or a Survivor Outreach Speaker presentation. How did you hear about the VHEC?